Exotic Fruit Smoothie recipe by Aalia at DesiRecipes.com. 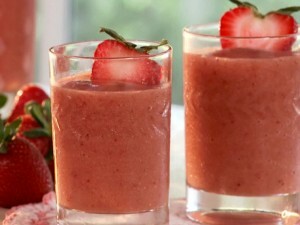 A yummy fruit smoothie made with tropical fruits. Cut all fruits in small pieces and put in a blender. Add sugar, yoghurt and ice too. Blend and serve.